Again this year, AFE Region 8 will offer the AFE Certified Professional Maintenance Manager Review Class in New England. This course includes two 8 hour review classes and on the third day conduct a 2 hour Tutorial and a 4 hour, 200 question Open Book exam based entirely on the AFE CPMM Review Pack. Left to right: Maurice Pettiford, U.S. Department of State Facility Manager, being trained as a CPMM instructor, with New England instructors Steve Nicholas and Mark Clark. AFE CPMM instructor Mark Clark leads a module at our May 2016 class. AFE CPMM instructor Steve Nicholas at our May 2016 class. 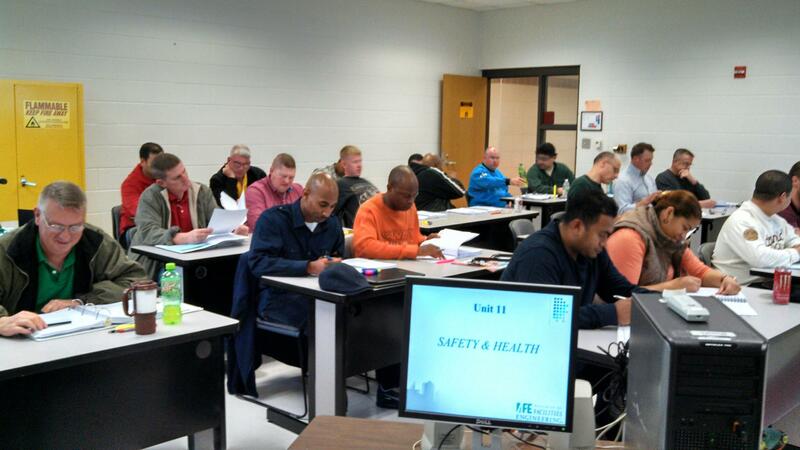 AFE New England holds its CPMM Review Class twice per year. CPMM Review Class, December 2013 at Fort Bragg. Questions about registration and payment? — Contact Gabriella (Gaby) Rodriguez, AFE National, Manager of Operations, at 571-395-8772 or grodriguez@afe.org. Learn more about AFE certification programs.